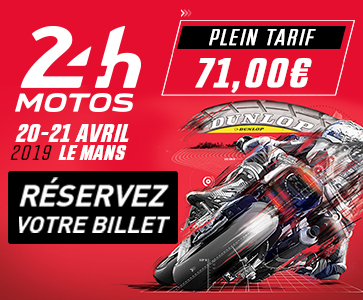 Motors Events will have a new trio of riders lining up on the grid at Le Mans. Frenchmen Johan Nigon and Adrien Ganfornina will partner with British racer James Westmoreland to ride the Suzuki #50, a Superstock entry. Motors Events, the 2011 and 2013 FIM Superstock World Cup winners, evidently favour UK-France alliances. After roping in Kev Coghlan for the Bol d’Or last September, the team have now hired James Westmoreland. The 30-year-old British rider has a 3rd place in the 2018 British Supersport and a 5th place in the 2013 BSB Superbike to his credit. 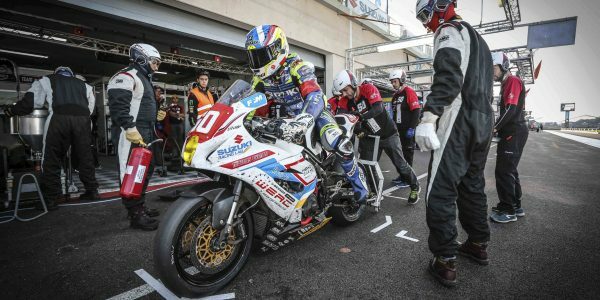 James Westmoreland will make his FIM EWC debut alongside two French riders, Johan Nigon and Adrien Ganfornina, and will be able to learn from their experience of Endurance. Motors Events is looking to make up for lost time after having a very tough time of it at the Bol d’Or in September. A pierced radiator cost them their spot in the top 15 in the early part of the race, and a series of mechanical issues subsequently forced them to withdraw.